International Orphan Support is a non-profit organization that we started to help address the needs of poor children around the world. At the Engage Conference, we will have an information booth set up to share the news about what we do, to solicit some involvement by conference attendees and to just spread some passion for helping orphans. Millions of kids around the world do not have parents; they have no food, no access to clean water or healthcare. They sleep on the streets, they are abused in horrible ways and they have a very brief life-expectancy. While we can’t help all of these children, if we will each give a little, we can take care of some of these kids. So International Orphan Support makes it simple: just get involved – in a big way or a small way. Tax-deductible donations may be made through our secure website. Every dime that you give will go directly to take care of children. We know these kids, we go to visit them and we take them what they need. 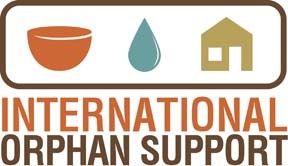 International Orphan Support: Giving Hope to Orphans Worldwide!